In this digital age, spam is no longer just spiced ham. It’s also annoying, unsolicited emails that clog our inboxes, forcing us to unsubscribe or potentially be subjected to a barrage of emails intended to sell us a product or service. For businesses, it’s been enticing. By marketing through email, there’s no postage, no printing costs, and very little overhead. But its widespread use has gained the notice of regulatory agencies that aim to force businesses to respect the user’s data. 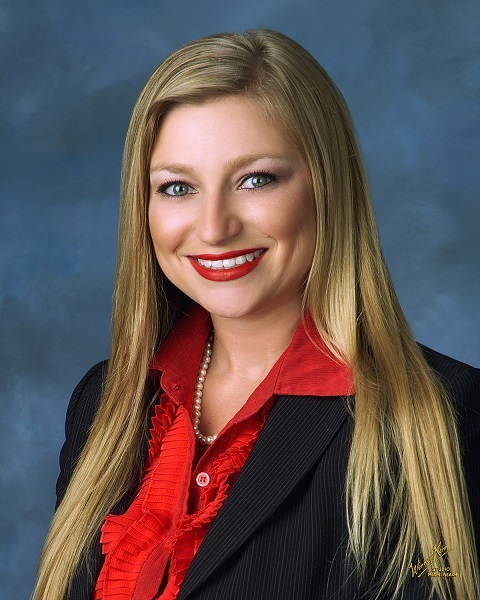 Essentially, there’s been a “mindshift,” says Tampa attorney, Erica DiAngelo, that gives consumers ownership of their information. The U.S. CAN-SPAM Act has been requiring businesses to give email recipients the opportunity to unsubscribe from email lists. Now the European Union has gone one step farther, in essence giving people ownership of their name and email address. That means individuals have to give companies permission to use their information for specific purposes such as receiving newsletters or special sales notifications. In this increasingly global society, the regulation affects businesses that aren’t even located there. For example, it affects American companies if people supply data to them while in the European Union or if the information comes from E.U. members. DiAngelo, who dubs herself an innovation attorney, is working in that new specialty as she advises wannabe startups through large companies. The 29-year-old, who opened her law practice more than three years ago, has been helping clients become compliant with the General Data Protection Regulation, or GDPR, which became effective in May 2018. Erica DiAngelo is an innovation attorney. Instead of being allowed to opt out or unsubscribe to emails, users are required to give permission for every single use of their data, she explains. Companies need to ensure they are not using the information for other purposes. If the data was gathered before the rule went into effect, they can no longer legally contact users to ask for permission to use it. “Technically they have to delete it,” she says. The penalty for violating the rule can be a fine of up to $2 million Euros or four percent of annual revenue, whichever is greater, she says. The E.U. is encouraging compliance at this point, but it’s “kind of yet to be seen how it’s all going to play out,” she adds. “Best practice is making sure you’re complaint for each and every person,” she notes. Small businesses may find it cumbersome, but relying on third party platforms who gather the data could make things easier. “It might interfere with your marketing strategy, but I don’t think you need to close,” she continues. DiAngelo’s practice operates out of a Channel District office at 1112 Channelside Drive, Suite 3, or virtually. Although the bulk of her clients are in Florida, she serves clients globally, helping them with things like contracts, trademarks, forming corporations and acquisitions. After beginning her practice in litigation, she recognized providing the appropriate legal advice could help prevent the need for it. So she pivoted to meet the needs of the expanding Tampa Bay entrepreneurial ecosystem. “I work with a lot of companies whose goal is to create innovative ideas and products, anything from different types of newer foods, CDB oil, new and innovative tech companies, solutions for other tech industry-related problems,” she says. A Sarasota native who lives in Channelside, DiAngelo has been relying on contracted, freelance help to meet her needs while Erica DiAngelo lives and works in the Channel District. the firm tripled revenues this year, up to more than six figures, she says. She also contracts with tech experts that understand the specific needs of her clients. “It’s really fun and exciting the people that I get to work with,” she adds. Among her clients is the Tampa-based Muv America, which has used her services to set up a corporate structure conducive to franchising. A tech-focused firm offering residential and commercial moving services, Muv America enables clients to sign up for services online without calling in.